Motown Logo. The Free Thinking Movement. N.p., 2014. Web. 18 Apr. 2015. Gordy's drive for success stemmed not only from his family but also from his time at Ford. Recalling his time working on the assembly line, Gordy recounts, “Every day I watched how a bare metal frame, rolling down the line would come off the other end, a spanking brand new car. What a great idea! Maybe, I could do the same thing with my music. Create a place where a kid off the street could walk in one door, an unknown, go through a process, and come out another door, a star” (9). Gordy knew that if he was going to be successful, he would need to to have a space where he could build his company and let it and its artists flourish. The answer to this problem came in the form of a small white house at 2648 West Grand Boulevard (10). 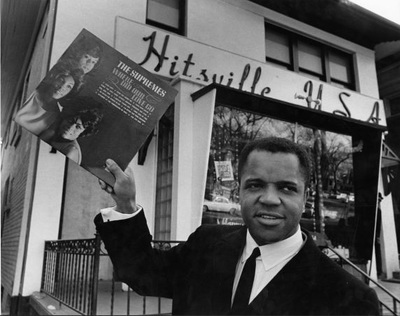 "Berry Gordy, 1964." Teachrock.org. N.p., n.d. Web. 18 Apr. 2015. <http://teachrock.org/lesson/assembling-hits-at-motown/>. This quaint, small house would soon be transformed into a music empire. Gordy named the new location of his empire "Hitsville, USA", almost as if he knew what an iconic, music-producing machine this house would become. Gordy turned the house into a "24-hour hit-making and artist development factory" (11). He and his family moved into the upstairs living quarters, while the rest of the house was dedicated to producing and polishing the music that would come out of Hitsville. The garage was transformed into a recording studio, the kitchen into a control room (12). The house also contained a rehearsal hall and rooms dedicated to publishing, promotion, booking acts, finance, choreography, among others (13). Everything that needed to be done in order to produce the amazing records Motown was known for took place right inside Hitsville, USA. Studio A. Gearslutz.com. N.p., 23 Aug. 2010. Web. 19 Apr. 2015. . 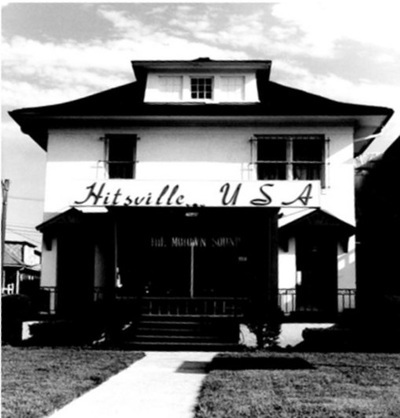 In addition to Hitsville, USA, Gordy also owned six other houses in the mostly "middle-class, integrated residential section of Detroit," which he converted into the other offices for the company (14). Gordy employed ten of his family members and in-laws in order to help run the business, including his sister Ester, who was the vice president and in charge of management (15). Despite the fact that Motown was partly a family business and the majority of employees were black, there were still a fair amount of white employees in every department. One example of this is the band for Studio A, the Funk Brothers, which was made up of both white and black musicians (16). Motown having a mix of races in the company shows that it was already having a huge impact on society just by being an integrated business. In fact, one of Gordy's goals for the company was to reach out beyond black audiences and become a hit with the nation as a whole. African Americans only made up 12% of the population, so even if Gordy managed to sell "a record to every black adult, he could not make as much money as if he sold to only one-quarter of the white population" (17). 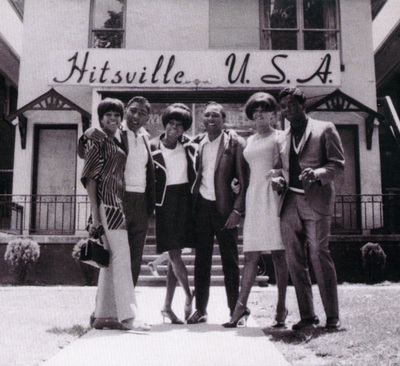 Gordy knew that Motown's music would have to be popular with other audiences in order for it to be successful, so he tried to "package black Detroit acts in such a way that white audiences would buy their records" (18). As a result of this knowledge, Motown Records began to create a new style of music and performance that would change the music industry in America.